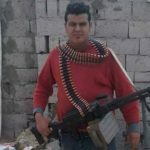 Testimonial evidence at a court hearing concerning a plot to assassinate a Turkish Christian pastor identified the alleged conspiracy’s ringleader. Kemal Yagiz, one of 13 Turks suspected in the alleged plot against Pastor Emre Karaali and his congregation at the Izmit Protestant Church, told the court that another suspect, Ferhat Cakar, “used my patriotic feelings to deceive me.” Others who testified at the June 19 hearing also pointed the finger at Cakar. Arrested in January 2013 in Izmit, a city 60 miles east of Istanbul, all the suspects were released after several days of interrogation except Cakar, who was imprisoned for six months. 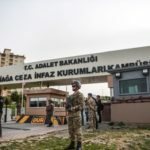 Fifteen months later, after an extended dispute over judicial jurisdiction, the case finally opened April 1 in Izmit’s 2nd Criminal Court. But at the close of the second hearing last week, Karaali’s lawyer requested a formal investigation of the police and military authorities identified in the case file. Her request fueled suspicions that during the alleged year-long plot, some of the officials might have had relationships with the suspects. “The question is whether [the suspects] were acting on their own, or taking orders,” Karaali told World Watch Monitor after the hearing. Although presiding Judge Yusuf Coskun accepted the lawyer’s proposal, he declined her second request to hold the suspects in custody until the next hearing. Presenting a file of related case documents from Diyarbakir, the lawyer declared, “My client and his church members are apprehensive. I request that the suspects be kept in custody while being tried.” The lawyer argued it would prevent the named officials from making contact with the suspects during the investigation. Karaali confirmed that his lawyer will be sending another custody request to the judge by June 27, underlining the specific concerns over possible collusion with the suspects, as raised in the case’s nine files of investigation documents. A man attending Karaali’s congregation with his wife and children also testified at the hearing, declaring himself an official complainant in the case. The witness identified himself as a non-commissioned officer in the Turkish military. “In June 2012, someone called me and said, ‘We are not pleased with your activities in Izmit. Take your wife and children and leave,’ ” the officer told the court. He testified that the voice sounded like that of Murat Gocer, who was frequently attending church services, but the caller said, “No, I’m not Murat. You don’t know me.” When the man checked where the call had come from, the number turned out to be a market in Sakarya, 45 miles away. During the trial’s first hearing April 1, three of the defendants had changed their statements from their initial recorded police interrogations, apologizing to Karaali and his family and congregation. They declared they had been deceived by Cakar and Murat Gocer into believing they were helping the police and the Turkish state by observing and reporting on Christian citizens’ activities. But three other suspects at the hearing accused the pastor of showing disrespect for the Quran, tricking little children with Christian propaganda and speaking against the Muslim prophet Mohammed. One admitted that Cakar and Gocer had urged him to make warning phone calls to both the pastor and another member of the congregation, but insisted they had not included any death threats. “I was called twice in 2012,” Karaali told the court. “But I don’t know who it was who called me. The second time, this person said to me, ‘You are talking a lot, everywhere from right to left. We will break your head.’ ” Karaali informed the police about the calls, which led to the telephone surveillance that implicated all the suspects involved. Twelve of the arrested suspects have now testified or sent official statements to the Izmit court, which ordered that before the next hearing, set for Oct. 21, a written statement be submitted by the last suspect, now in prison over another case. Karaali had declined an offer of police protection, although he moved his wife and two small children to a more secure location after the alleged plot was exposed. Under questioning from the judge, Karaali said he came from a Muslim background to Christianity 14 years ago. Now 35, he has pastored the Izmit Protestant Church, under the legal umbrella of the Istanbul Protestant Church Foundation, since 2009.